An authentic English pub smack in the middle of the Strip can only be the child of Gordon Ramsay. Featuring two distinct restaurants, the grill section is a relaxed dining spot while the pub section is the more lively side with 36 tap beers and 63 bottled beers, accompanied by true pub fare of shepherd’s pie, fish and chips and the like. 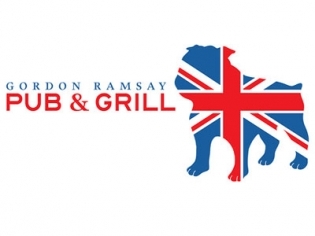 An authentic English pub smack in the middle of the Strip can only be the child of Gordon Ramsay. Featuring two distinct restaurants, the grill section is a relaxed dining spot while the pub section is the more lively side with 36 tap beers and 63 bottled beers, accompanied by true pub fare of shepherd’s pie, fish and chips and the like. A football match or other sporting event is likely to be on the telly in the pub. The waitresses wear British punk style uniforms and the décor is reminiscent of a true pub with the wall dividing the two sides made of 175 kegs and a backdrop of traditional British red telephone booths. Be sure to peruse the signature cocktail list presented on iPads with photos and complete descriptions. fast, clean and great quality food . Server was polite friendly and outgoing. Gordon, better do an inspection of this eatery. It does not stand up to your reputation. My wife and I tried here in August 2013, and had a very long disappointing wait for our order. ( see our review of that visit ). We thought we would give it a go again thinking last time was a one off. Wow, they were two for two for slow service and long wait for our food. We will definitely go somewhere else next time in town. The food once it came was very good, but the service we found in one word….sucked. It was a Wednesday evening and not a busy Friday or Saturday night. After waiting over 15 minutes for someone to come to our table to take our drink and dinner orders. It was just over 60 minutes later when we finally got our meal. The food was excellent… but maybe because we all were striving by then. We liked being at Gordon Ramsay Pub, but had better table service at Denny’s. Good thing Gordon was not at the restaurant. He would most likely had blown up. Nice relaxing break for lunch after spending at the slots. Cold pint of beer and sliders made it nice. Good job Gordon! Great food, cool ambiance, highly recommended.